As the number of patients vying to preserve their youth at in their 20s increases, the demand for non-invasive procedures such as BOTOX has dramatically increased as well. According to the American Society of Plastic Surgeons, young women in their 20s currently make up 30% of BOTOX patients over the past few years. BOTOX is also considered as one of the most popular drug currently available in the market and BOTOX Injection, one of the most in demand cosmetic procedure not only in US but around the world. Reality is, we all age differently, some of us will look older than their age, yet some are blessed to have good genes that seem immune to the detrimental signs of aging. For the rest of the normal population, we get to an age when our forehead lines start to peak and horizontal lines and creases becomes more visible and attention-calling. Fearing for the inevitable mark that it may bring if we leave it just like that, we rush to the most trusted cosmetic surgeon for the fastest way out. Good news is, Yoskarn Clinic is located right at the heart of Bangkok, around shopping areas and touristic spots. Our resident surgeons and doctors (available 7 days a week) are all well trained to administer BOTOX so you can have the option of dropping by our clinic any time between your shopping trip and get your dose of a more refined facial skin. 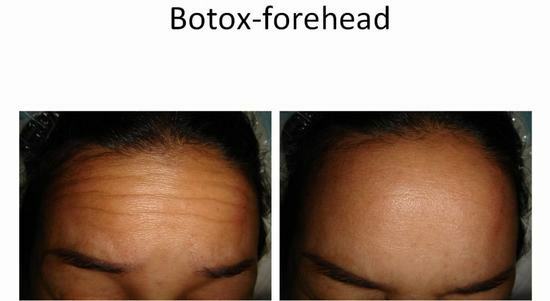 WHAT DO YOU NEED TO KNOW ABOUT BOTOX ON THE FOREHEAD in Thailand? Wrinkles start to develop as our skin loses collagen and elastin. Our lifestyle, diet, stress level, genes, and facial expressions may also play a big factor in accelerating or delaying the onset of wrinkle formation. BOTOX injection in Thailand on the forehead is used to relax the muscles on the area so that those horizontal lines will be less noticeable even with facial movements. Keep in mind that a good doctor will be able to smooth the wrinkle out without necessarily leaving your face expressionless. Over injection of BOTOX, especially on the frontalis muscle, will render your eye brows frozen and feeling heavy and this is one of the dreading factors that you have to consider in choosing your injector. The result of BOTOX varies from patient to patient as well, but, a great result is seen when your doctor takes into account your lifestyle, your facial balance, your social life, and the look that you want to achieve. Since muscles will be relaxed, taking into consideration the above mentioned factors will help you achieve a natural result without compromising your daily activities. For instance, if you are in the service industry where people need to see you smile all the time, your surgeon should use less botox on the muscles that helps you smile so your expression will still look easy and natural. The cost of BOTOX from the same manufacturers is the same for all countries, hence the price of the injection may not vary greatly from your country to Bangkok. Please understand that only the use of substandard products will render this procedure significantly cheaper because we are basically using the same drug that the biggest hospitals and cosmetic surgery centers use in your country. The upper forehead lines will approximately require 15-20 units of BOTOX depending on the severity and extent of the wrinkles and your experience if this isn't your first time. The result can usually be appreciated between 3-7 days after your BOTOX session and the result will last for 4-8 months. 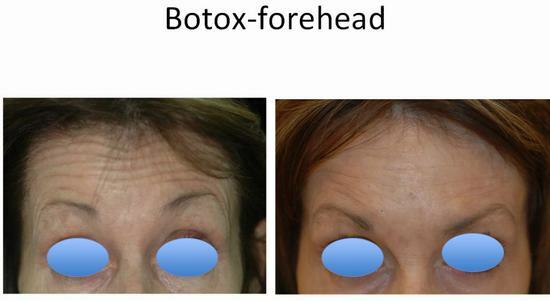 The good news is, if you keep regular botox injection (every 3-4 months), the previous permanent creases will gradually lighten and even disappear permanently. Make sure that you tell your doctor if you’ve had any previous BOTOX injections on the area you want to have your treatment with so he will know what to do because dosages are adjusted depending on the number of treatments you’ve already received on the area. WHAT ELSE CAN YOSKARN CLINIC OFFER? Aside from the assurance that we only use Allergan products for our BOTOX injections, we also guarantee that we do not over-dilute our BOTOX and we never go beyond the limit of what the manufacturer prescribed. We believe in earning less but having our patients return to us for satisfaction than earning more and losing the trust of our patients. Our clinic is also affiliated with Aphrodite Inn, a boutique hotel located right next to our center. Since our area is located right in the middle of the metropolis area, patients need not look for another accommodation because they can stay right next to us and enjoy the benefits of having doctors and nurses available round the clock and friendly hotel staffs. Since the hotel is also in the middle of the shopping district, patients can enjoy their free time walking around the street shopping or going to the biggest malls for good brands and bargains.